The Real Estate Board of Greater Vancouver (REBGV) reported this week that July’s residential housing sales in Metro Vancouver* skidded to their lowest level for that month in 18 years. Residential property sales in the region totalled 2,070 last month, a 30.1% decline from the record level posted in July 2017, and a decrease of 14.6% compared to June 2018. Moreover, last month’s sales were 29.3% lower than the 10-year July sales average. New listings on the Multiple Listing Service (MLS®) in Metro Vancouver decreased by 9.6% from the prior month in July, while new listings year-over-year (y/y) were down by 9.2%. The total number of properties currently listed for sale is 12,137, representing a 32% gain from year-ago levels and a 1.6% rise month-over-month. While summer is typically a seasonally weak time of year for housing, activity has also been dampened by higher mortgage rates and more stringent credit conditions owing to this year’s changes in federal regulations requiring low loan-to-value borrowers to qualify at the posted five-year fixed mortgage rate, which is considerably above the contract rate. The key posted rate has risen to 5.34%. Another factor dampening sales activity has been the repeated initiatives by the B.C. government to reduce foreign buying. The 15% foreign buyers’ tax initially introduced in August 2016 at 15% was increased to 20% in February of this year. As well, a vacant property tax was imposed in Vancouver, and a speculation tax was proposed but has not yet been implemented. Reportedly, foreign buying of Vancouver real estate has diminished as more nonresidents are looking towards Montreal where foreign buying is not yet taxed. For all property types, the sales-to-active-listings ratio for July 2018 is 17.1%. By property type, the ratio is 9.9% for detached homes, 20.2% for townhomes, and 27.3% for condominiums. The MLS® Home Price Index composite benchmark price for all residential properties in Metro Vancouver is currently $1,087,500. This represents a 6.7% increase over July 2017 and a 0.6% decrease compared to June 2018. A new study by Zoocasa shows that homes in Vancouver may be costly to buy, but they are cheaper to own than in other cities. Out of the 25 major cities studied, Vancouver has the lowest property tax rates which can more than offset the higher prices of housing in that city. The owner of a home with an assessed value of $1 million in Vancouver will owe just $2,468 a year in property tax, compared to $6,355 in Toronto or more than $10,000 in Ottawa. On a pure property tax basis, Vancouver home ownership is also cheap in comparison to cities in the U.S. For example, the annual cost of owning a home in Vancouver with a property tax rate of 0.25% is roughly half that of Toronto (with a 0.64% rate), a third that of Seattle (0.84%), and almost a fifth that of San Francisco (1.16%). So, for foreign buyers, Vancouver is a relatively inexpensive place to park money. This has been a significant incentive for speculative investment, especially in high-end homes and in turn, it is likely a historical factor that has driven up home prices over the past twenty years. Residential real estate prices have doubled in Vancouver over the past decade. This has put homes out of reach for much of the local population whose wages have not kept pace. The average home price in Vancouver is now a wicked ten times average household income. Statistics released today by the Toronto Real Estate Board (TREB) show strong growth in home sales and average home prices in July. 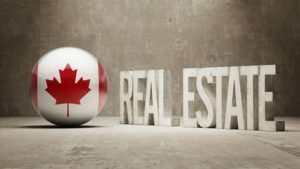 This follows in the footsteps of a pickup in home sales and prices in June as well–the first such rise since May 2017 following the April Ontario budget that first introduced a 15% foreign buyers tax in the province. On a year-over-year basis, GTA home sales rose 18.6% in July. Over the same period, the average selling price increased 4.8% to $782,129. This compares to an average home price of $1,087,500 in Greater Vancouver. For the first time in over a year, single-family home prices rose as well. New listings in July edged down 1.8% y/y. The preliminary seasonally adjusted data point to a robust month-over-month gain of 6.6% in sales and 3.1% in average home price. Seasonally adjusted sales were at the highest level for 2018, and the seasonally adjusted average price reached the highest level since May 2017. It appears that some people who initially moved to the sidelines due to the psychological impact of the Ontario Budget’s Fair Housing Plan and changes to mortgage lending guidelines have re-entered the market. National data on housing activity, along with a regional breakdown, will be released by the Canadian Real Estate Association on August 15.